€56 million in funding coming from SmartInvest, which recognises Irish “entrepreneurial spirit”. TRANSATLANTIC INVESTMENT FUND SmartInvest plans to sink money into 30 technology companies across Irelands in a scheme that could create 450 jobs across the country. The US$70 million (€56 million) fund will give early-stage Irish companies more money to expand into the US market and American businesses looking to bring their trade to the republic. The fund will not provide “seed” investment for startups, but instead will focus on injecting a second round of funds into companies already up and running with “demonstrable market traction”. SmartInvest said the jobs would be spread across the island to benefit counties from Louth to Donegal and Roscommon, and on top of the investment it would give an extra 300 companies mentoring, advice and training. The fund, which has offices in both Dublin and Philadelphia, will back entrepreneurs earmarked through the SmartStart mentoring program and similar schemes set up in the two countries. It would also take the best ideas flowing from the programs and turn them into viable startups and SMEs, it said. Two US companies that went through the SmartStart program, SWG and MDS Global Technologies, recently announced they were creating 50 jobs in Meath as part of a €1.5 million investment from the startup accelerator program. SmartInvest chief executive Gerry Moan said the fund recognised Ireland as an excellent place to do business and for its “entrepreneurial spirit”. “There is an appetite among investors to capitalise on the opportunities that Ireland and the US offer as places to do business and gateways to large markets,” he said. SmartInvest’s backers include a string of venture capitalist and investment funds, and it joins a string of companies already buying into the Irish SME technology sector. Taoiseach Enda Kenny said the government backed initiatives like SmartInvest which created jobs and encouraged investment in Ireland. 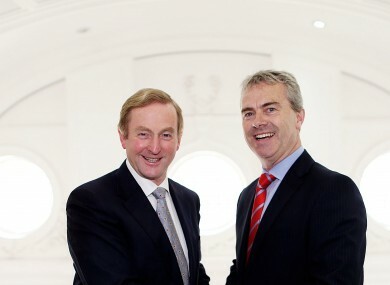 Email “Another 450 tech jobs could come to Ireland with transatlantic cash injection”. Feedback on “Another 450 tech jobs could come to Ireland with transatlantic cash injection”.